The mere mention of the word “bats” tend to draw high emotion from people. Some people are completely grossed out by what they view as flying rats and disease-carrying species. The bats these people have seen are frequently portrayed in movies as rabid swarms attacking helpless people. Other people view bats as necessary for the ecosystem and point to their voracious appetite for insects and pollinating potential. Whichever camp you fall into, it is important to know some facts about them. Bats are nocturnal mammals from the order Chiroptera. They are found on most major continents and vary widely in appearance. Although all have hair and fly, they can be the size of a bumblebee to the giant flying foxes of Southeast Asia with wingspans of almost five feet. Each species’ color, size, and ears make them easily discernable from one another. Although they tend to be insectivores (insect eaters), some species drink flower nectar. Bats are fairly common in the United States with the population the highest in the Southwest. Since they are nocturnal and normally timid, they can be hard to find. One can usually find them in barns, hollow trees, caves, and occasional houses. They roost in these places during the day and venture out around dusk to look for food. Before dawn they will return to their roosts to sleep for the day. In colder weather they will look for a sheltered spot in a cave or attic or migrate south. Those that don’t migrate enter into a semi-hibernative state where their heart rate and metabolism slows dramatically. During this period they gather together (sometimes in the hundreds of thousands) to conserve heat. In the spring of 2006 scientists near Albany, New York began to notice thousands of bats emerging prematurely from a nearby cave. Because it was still February and temperatures were below freezing, the bats began dying in masses. This was the first documented case of white nose syndrome (WNS). WNS has now spread north toward Canada and as far south as Tennessee killing millions of bats in its march. In many cases over 90% of the bat populations are perishing. Because most bat species tend to congregate very closely in large numbers in the winter, WNS can easily spread through the entire colony. East Tennessee is home to 14 different species of bats, two of which are endangered and the other 12 protected. Bats will sometimes find a residence as they look for a place to have their young. In a residence, they will often go to the hottest area of the attic to use as a nursery. The mothers will typically inhabit the south and west facing areas and push the males to the north and east sides of the attics. Babies are born in May and June and will typically begin flying in July. Many homeowners may notice the presence of bats by the sudden appearance of droppings (or guano) which is approximately ¼” long and crushes easily. 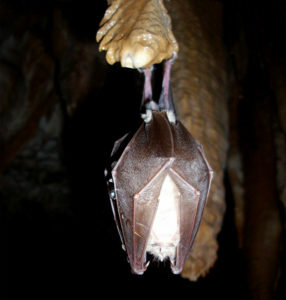 Bats might also leave a brown oil in the places they use to enter and exit. Although typically quiet, they can be very noisy during this time with the young calling for their parents. 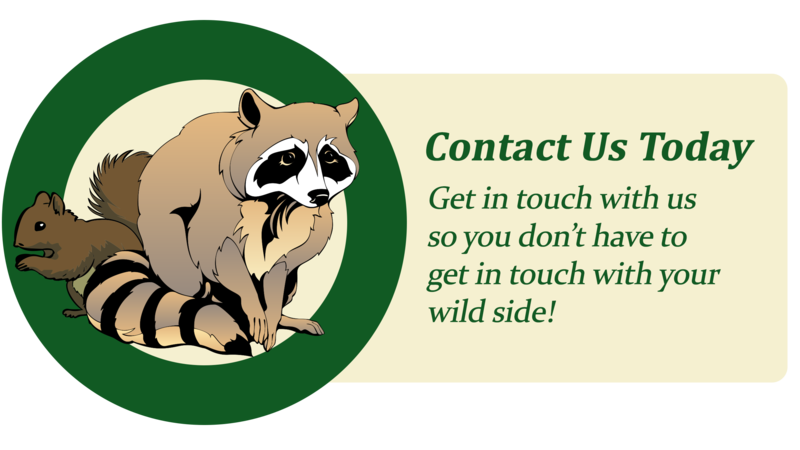 Their calls are extremely high pitched and only humans with very good hearing will hear in this range. Although bats are fairly clean animals, they typically defecate once they land at their roost. If the roost is a residence, the guano can build up over time. The primary danger with guano is histoplasmosis, a fungal disease which can be fatal to the very young or those with suppressed immune systems. The most common method of encountering histoplasmosis is by breathing in the spores. Another danger associated with bats is rabies. Statistically approximately .1 – 10% of bats carry rabies. It appears to be species dependent. Overall bats are excellent creatures to have around. They can eat large amounts of insects every night and make a summer night much more enjoyable. Very few cause problems, and it’s typically a young bat that has taken a wrong turn that ends up in a house. They can be easily removed by throwing a thick towel over them or cajoling them into a Tupperware container and taken outside. One must be careful not to hurt the bat or to let them come into contact with bare skin as they can bite.